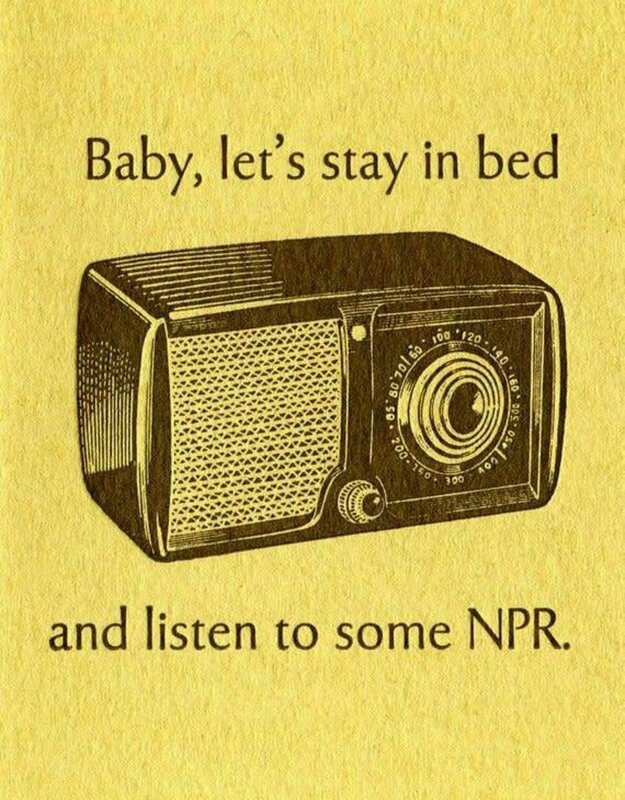 It's Sunday, and chilly outside, and you're feeling lazy with your baby. 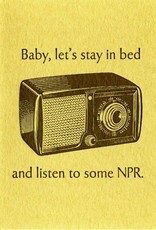 How bout invite them to stay in bed, maybe with some breakfast, and listen to the dulcet tones of Ira Glass? This card will get you there. Lovingly letterpressed on delicious olive green paper from the folks at French. 4bar size, bagged in a biodegradable sleeve.